This effect is become famous nowadays especially in web design. Yet very few tutorial with Inkscape. I will show you the ways. I assume you have know basic operation in Inkscape. 1. Create rounded rectangle 512x512px. Feel free with the fill color. 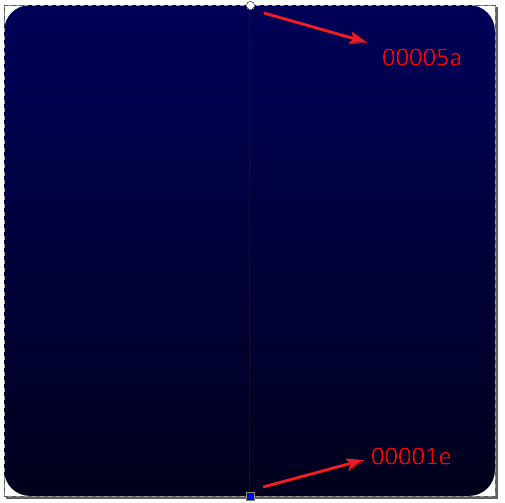 Mine is blue vertical gradient, the bottom is 00001e and the top is 00005a. 2. Create text in middle of rectangle. I use Myriad Pro bold font. If you want to control the kerning, edit the text, then use alt + arrow. 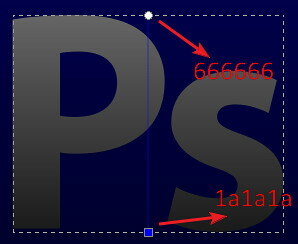 Use gray gradient color, the bottom is 1a1a1a and the top is 666666. 3. Step 3 – 7 see picture below. We will create the white shadow. Duplicate (ctrl + D) the text. Choose the duplicate one. 5. 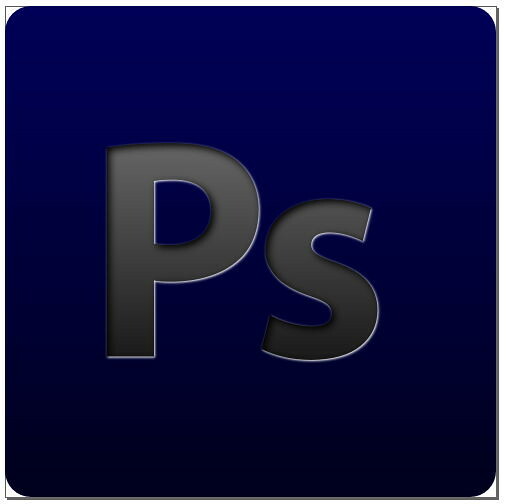 Lower it one step, so it under the gray-gradient text. 6. Move it right 1px (x: +1) and down 1px (y: -1). Move it by change the coordinate in toolbar. 7. Change the blur to 1. 8. 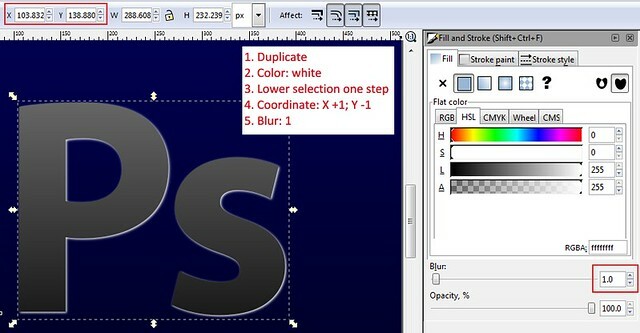 Last create inner shadow on gray-gradient text (the original one). Select gray-gradient text. 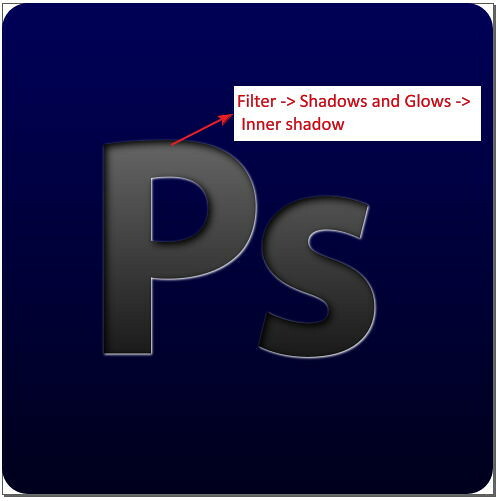 Go to menu Filter -> Shadows and Glows -> Inner Shadow.